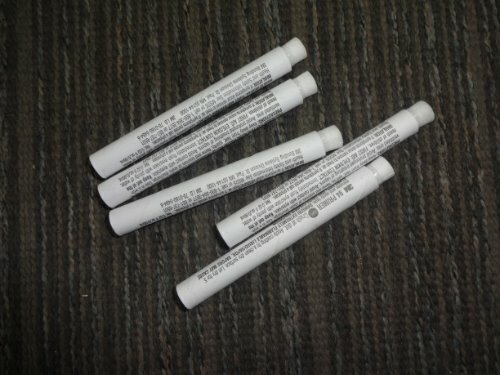 5 tubes of 3M™ Primer 94. Shipping to US Mainland, Alaska, Hawaii and Puerto Rico Only. It can be used to promote adhesion of 3M tapes to surfaces such polyethylene, polypropylene, ABS, PET/PBT blends, concrete, wood, glass, metal and painted metal surfaces. Surface Preparation: The bonding surface must be relatively clean and dry. Contaminated surfaces should be cleaned with a 50/50 Isopropyl Alcohol and water mixture. A clean lint-free cloth should be used. Application: Most people use 3M(TM) Tape Primer 94 to install our LED lighting strips. Shake 3M primer 94 well before using. Apply a thin uniform coating to the bonding surface using the minimum amount that will fully coat the surface. Allow 3M primer 94 to dry thoroughly before applying tape. This is usually accomplished in 5 minutes at room temperature. Be sure the primed surface remains free from contaminants prior to applying the tape. Porous surfaces may require 2 applications of 3M primer 94 for uniform coverage and good adhesion. Allow first application of primer to dry before applying the second coat. 3M primer 94 may be applied with brush or swab. It can also be applied with a pressurized flow gun, knurled roller or other similar type of application equipment. Clean up: 3M primer 94 can be removed with isopropyl alcohol. Vigorous scrubbing may be required. Note: Carefully read and follow manufacturer’s precautions and directions for use when handling cleaning solvents. We are in no way affiliated with 3M™. The 3M™ product we are selling is made by 3M™ and we are simply a reseller of it.